Christmas started early for the IDP Camp located in the Uhogua Community in Benin City, Edo State. 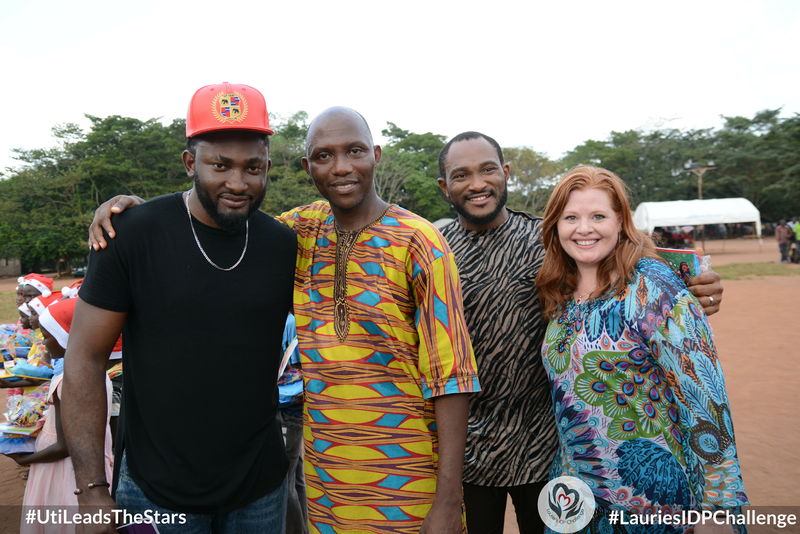 The much publicized collaboration between TV Icon Uti Nwachukwu (#UtiLeadsTheStars) and Senior Pastor, CGMi Church Unusual, Rev. 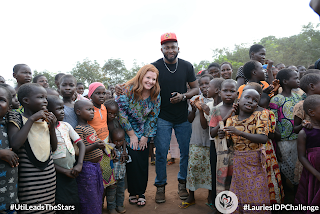 Mrs. Laurie Idahosa (#LauriesIDPChallenge) for a Christmas Charity visit to a camp housing widows and children displaced by the Boko Haram insurgency in Nigeria was a HUGE Success. Speaking prior to the event, Uti stated that his intention is to help foster hope amongst the IDPs by assisting the camp administration in providing necessary aid and awareness. Uti was the 2009 Best Graduating Student of Idahosa's school, Benson Idahosa University. 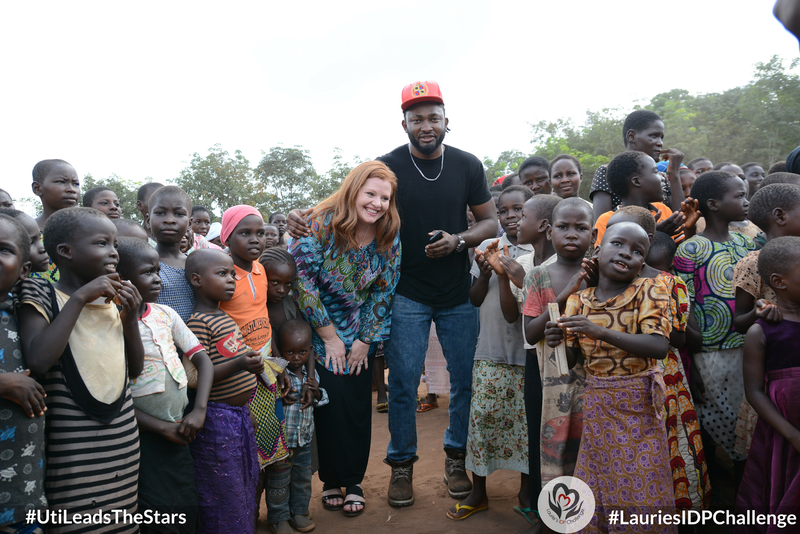 Giving back is a culture of his alma mater that he has carried on since Graduation through his NGO and other humanitarian efforts. Members of Uti’s team included award winning actor Blossom Chukwujekwu, International Filmmaker Kevwe Ogunje, Reality TV Stars Lillian Afegbai, Michael Nwachukwu, Melvin Oduah, Afro-Pop Star TeeManay, A-List stylist Yolanda Okereke and behind the scenes organizer, Mrs. Joy Sillo. Some of the team members are also esteemed graduates of Idahosa's University. Uti’s drive to give back provided brand new clothing materials to widows as well as educational items, toys and food to children in the camp. Mrs. Idahosa's drive supplied the volunteer work force, logistics and a well-balanced meal for the the 2,400 residents of the camp. The missionaries, widows and children in the camp were ecstatic with all the gifts and especially commented about being given meat to eat, explaining that it has been months since they’ve tasted meat or fish. Explaining his decision to partner his NGO with Idahosa, Uti stated that Idahosa’s integrity and long term commitment to the humanitarian efforts for the IDPs made her an ideal partner for this collaboration. 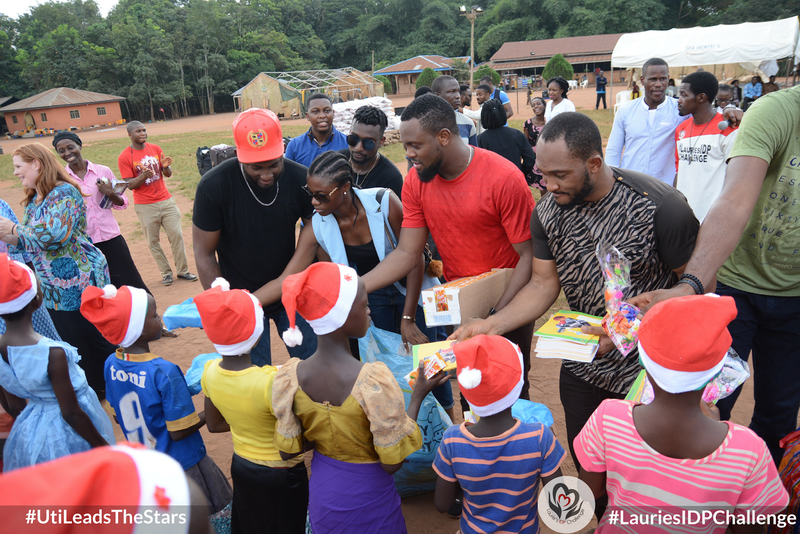 Uti and Idahosa encourage everyone to look for a way to support the underprivileged this holiday season. They are urging us to look into our hearts and reach into our pockets and find a way to be a support to someone who cannot stand well on their own. They believe that there is much more that we can do as Nigerians to spread love and kindness to our brothers and sisters. They urge their present partners, friends and all concerned people who are looking for a way to give back this holiday season to partner with #UtiLeadsStars and #LauriesIDPChallenge. Contact them via any of their social media accounts. They are making weekly trips to the camp with your donations. They've coined the hashtag #revolutiongiveback and have said that a world where people generously help one another, despite the current condition of things, is a world that we all would want to live in. 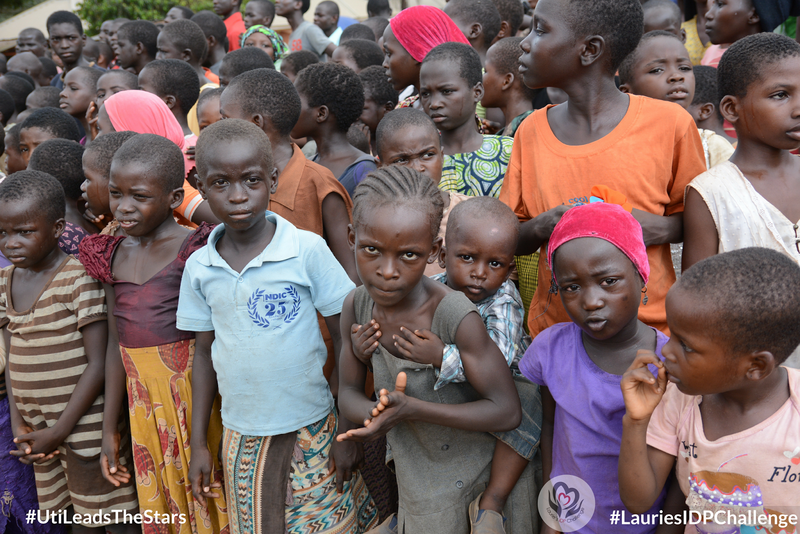 They urge everyone to find a way to give back, before 2016 runs out, stating that every act of kindness matters.